SouthSider Cocktail Club is a chic bar from the team behind 64th and Social. SouthSider Cocktail Club specialises in classic cocktails with a twist.
" At Southsider Cocktail Club we take our drinks seriously, not ourselves. We bring you a new neighbourhood hang-out where you can enjoy a menu of innovative cocktails that have all be created in-house and use only the freshest ingredients – with a few homemade infusions thrown in for good measure! 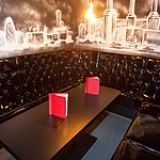 Cosy booths, exposed brick and graphics from one of London’s leading underground street artists make this an homage to the art of New York drinking. 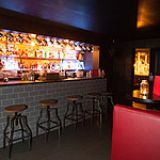 So if you’re looking for a place where the bar staff remember your name and, more importantly, how you like your drinks mixed then head along to Southsider Cocktail Club. Who needs to trek into Central London to find a great cocktail bar when there’s now one right on your doorstep? Come on in, we are ready and waiting!" What did you think of SouthSider Cocktail Club? A sophisticated, tasteful and buzzing cocktail bar. The attention to detail is excellent, from bar staff, to service, and of course the drinks. The cocktails are very reasonably priced and they are creative, innovative and delicious. I will definitely be returning as soon as I can as I felt, welcome and well looked after. Highly recommend!! 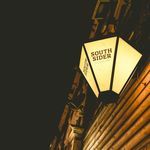 Visited Southsider tonight for the first time and I am sure I will be returning.The atmosphere was sophisticated and the attention given by the bar staff very welcome. I tried the recommended Blueberry Pancake Mule. It looked good, it tasted good and it did the trick.A welcome addition to Battersea. The younger sister of 64th and Social is pushing the boundaries of cocktail making, adding a sense of fun to New York-style drinking. 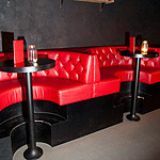 SouthSider Cocktail Club is located a short bus ride away from its sister venue 64th and Social. While 64th sits brazenly on Clapham High Street, pulling in large amounts of party-hopping people traffic, SouthSider is rather more demure, choosing to sit on Battersea Rise, away from Clapham Junction’s main party strip. With no windows to peer through and a burly bouncer out front, it’s time to take a leap of faith. Inside, you’ll find the delicate branding of 64th – black walls with subtle gold swirling patterns, small booths and a cosy vibe. 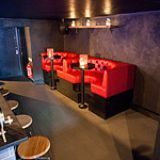 The action centres firmly around the bar, which is the bright centrepiece to the space, with neat little shelves laden down with all manner of unusual spirits. For the best seat in the house get there early and sit at the bar for some interaction with the barmen, speakeasy style. Anyone who has ever visited 64th and Social on a Friday night will know how busy it can get. SouthSider steps away from this heavy-going party feel and instead opts for a focus on inventive drinks. There’s a definite sense of New York drinking, with its table service and bar-side seating. At the moment, there’s still a little fine tuning to be made so customers are not piling to the bar and instead waiting to be served, but this is sure to improve with time. The best thing about this new venture from the 64th guys is they have not forgotten their roots – they have just fine-tuned the experience to fit the Battersea crew and stay current at a time when cocktails are becoming more experimental. It’s worth bearing in mind that after 11pm this bar is members only – but membership is free. Going the way of pioneers like Purl, 69 Colebrook Row and the London Cocktail Club, SouthSider isn’t afraid to experiment with cocktails. The menu is scaled right back to under a dozen innovative new concoctions with a focus on homemade, fresh ingredients. But if you don't fancy getting in the spirit of things and fancy a quick classic then bar staff can cater to you. Best of all, unlike some of its competitors, the prices here are incredibly reasonable. Harry Potter fans will recognise the Butter Beer (£7.50) – an unusual combination of 42 below manuka honey, pop corn, Bacardi Superior Rum, butterscotch Schnapps, liquefied butter, SSCC’s soft toffee caramel, vanilla salt and Asahi beer. It’s an intriguing drink with a careful balance of flavours adding a creamy, rich texture to the beer without masking it. Cocktails continue with a strange mix of flavours in the Full English Flip (£7), which combines Bacon Woodford Reserve Bourbon, a whole egg, maple syrup, Angostura bitters and dehydrated bacon crumb. It really shouldn’t work, but it really does. It’s an unusual taste experience with the smokiness of the bourbon working well with the sweetness of the maple syrup and the creaminess from the egg. Really a meal in itself, you won’t be needing a kebab on the way home after this! But it’s not just flavour combinations that SouthSider Cocktail Club experiments with – it also creates visual interest with a flair for the dramatic. The Blueberry Pancake Mule (£7.50), for example, comes in a large glass served with mint, berries and a brandy snap ‘pancake’ filled with cream. Although the sweet, fruity cocktail is delicious and easy to drink on its own (comprising the bar's own fiery ginger beer made with real ginger for a big, but entirely pleasant, kick in the face), when coupled with the pancake it’s a dessert all in itself and one to make your table coo excitedly. Alternatively, opt for the Bloody Warhol – the bar’s take on a Bloody Mary served in a Campbell’s tomato soup can for a fun, kitsch edge. However, the real Piece de Resistance is the Dirty Man Harry, the most expensive drink on the menu at £9.50. Comprising Zacapa 23 rum, Amaro Montenegro, Dr Adam Elmegirb’s Aphrodite Bitters, and lightly smoked with applewood, it’s an exciting, hard-hitting drink that is one for the camera phone. It comes in a gun-shaped glass flask served in an ice bucket with a chilled coupette on the side. The ultimate in James Bond drinking experiences, you will be hard-pushed not to be tempted to pose in all manner of ways with the gun in hand. SouthSider Cocktail Club is exactly what was needed south of the river. If you like to experiment with exciting and innovative cocktails then this new kid on the block is ready to take on the big boys.